For historical reasons also allows wildcards, e.g. "192.168. 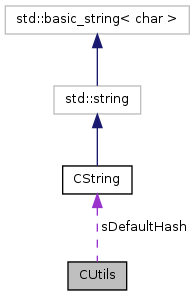 *"
However, note that timeval only supports microsecond precision (thus, formatting with higher-than-microsecond precision will always result in trailing zeroes), and IRC server-time is specified in millisecond precision (thus formatting received timestamps with higher-than-millisecond precision will always result in trailing zeroes). const CString & sHost = ""
const CString & sHint = ""
Referenced by TCacheMap< CString >::AddItem(), and TCacheMap< CString >::Cleanup(). const CString & sMessage = ""